The rail is in the true position and the track is rated a soft 5 with fine weather forecast. Most of the fields are very competitive betting affairs. 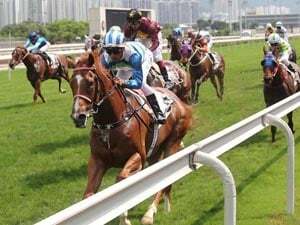 One of Hong Kong’s biggest races each year is the running of the QEII Cup at Sha Tin on Sunday. The Champions Mile run at Sha Tin on Sunday has the world’s current highest rated horse still racing as part of FWD Champions meeting. 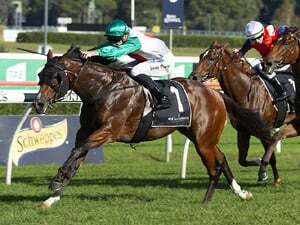 I Am Invincible’s service fee for 2019 has risen to $247,500, making him the most expensive stallion at stud in Australia. Former champion Australasian three-year-old Jimmy Choux has been sold to prominent Western Australian owner-breeder Alan MacAlister. While all care has been taken to compile and generate the details of shown for racing statistics, materials, news, stewards and other information available via this website, Racing and Sports Pty Ltd accepts no responsibility for errors, software errors or omissions in the information provided. Users should be aware that important information may be missing from the site and should check information with official sources before replying on this information. In the event of any defect, errors or omissions Racing and Sports Pty Ltd's liability shall be limited to providing the information again. Click Here For An In-Depth Description Of Racing And Sports' Racing Analytics.